Dean Ambrose isn’t going anywhere. Let’s just kill that rumor and speculation now. Does it make sense that he would? Sure. Do I wish he would? Absolutely (more on that later). But do I think he actually is? No. I’m no insider. I don’t have people feeding me info that may or not be true, like a lot of dirtsheet “experts.” But I do have half a brain and a memory. The latter first. This isn’t the first time WWE has discussed someone’s contact status, or even announced someone was leaving. In 2011, they pulled the same trick with CM Punk. We all remember what came of that. The second “Summer of Punk.” Money in the Bank. A seriously blown opportunity. A few years before that, it was Matt Hardy (there’s that Ring of Honor connection again). Before that, Bret Hart. In other words, WWE has played up someone’s contact status for the sake of a storyline before. And it feels like they’re doing it again. How it’s good to work is anyone’s guess. WWE announced another “creative change” right before the end of last year and this feels like a part of that. Play up to the loyal fans who follow all of the comings and goings. Problem with that is, WWE loves going back to the well. And this is another instance of that. This is, after all, the second time they’ve announced a “creative change,” right? And seriously, how many times have we seen the ring “implode” from a super heavyweight super-plex? You get the idea. The same is going on here. We just covered the CM Punk parallel. 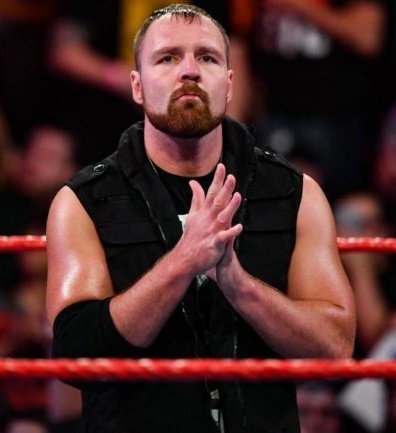 Don’t be surprised to see Dean Ambrose putting over guys on TV for a while (like EC3 this past Monday) only to get a title match or if nowhere and threaten to have with the championship. Because that’s never been done before! Personally, I wish he would leave. Not because I have anything against him, but because wrestling as a whole would be so much better off. At that point, AEW could start printing money. And the business as a whole, like it did about 20 years ago, will flourish as the result of another war and subsequent boom period. While I’m dreaming, I’d also like a winning lottery ticket and world peace, please. 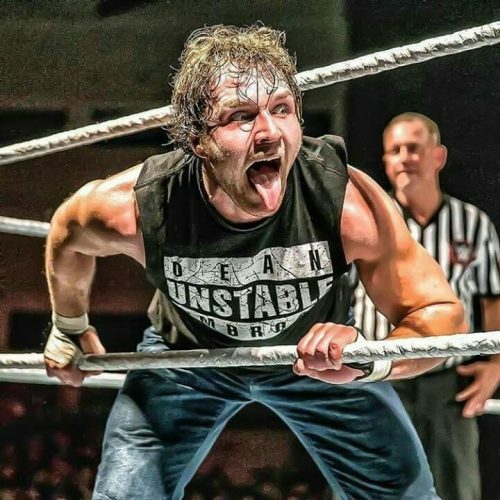 Because let’s face it – the idea of Dean Ambrose leaving is just that. The wrestling media is eating it with a spoon, though. Either they’re wanting this to be true also or they took the bait hook, line and sinker. Whether he’s actually going or this is an elaborate setup, the wrestling world is talking about Dean Ambrose. (Poor KENTA, who actually is leaving and no one seems to care!) And I’m convinced that’s what WWE wanted. To generate a whole lot of buzz over a whole lot of nothing. Because as much as I wish the opposite, Dean Ambrose isn’t going anywhere. Only thing left to watch for is what the company’s endgame is on trying to fool us into thinking he is.